The TVS Victor has a lot of history going for it. Granted, it might be a brand that faded away and has now been resurrected, but that also brings with it an emotional connect that a lot of people relate to. And when it comes to commuter motorcycles, this emotion plays a big role in pushing the buyer this way or that. But what happens when the competition also has a very strong image in the eyes of the customer. What happens when the competition is a brand that has always been held in the highest regard for offering some of the highest quality products in the market? What happens when the competition is a Honda? 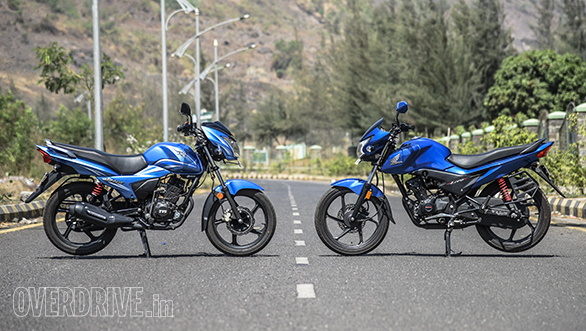 That's what we intend to find out by throwing the new TVS Victor and the Honda Livo into a slugfest. I'm just going to come out and say this. I think that the Livo is the better looking motorcycle here. The TVS Victor is handsome, no doubt about that. But it is a bit too mature for its own good. TVS did try to make the design a bit exciting with the pinched edges on the panels and the sticker work, but it hasn't worked as well as they'd hoped. The truth still remains that if you park it in a lot full of 110cc commuters and it will be incredibly difficult to spot the TVS. The Livo on the other hand looks sportier and very distinct. A lot of the styling cues are borrowed from the bigger sports nakeds from Honda's lineup and this does the Livo a world of good. And what's more important is that the Livo manages to stand out from the crowd perhaps because of the lack of stickers or fancy graphics. So, in terms of styling, the Livo is the clear winner. However, there is one area where the Livo falls short and that is fit and finish. The Honda feels a lot like a motorcycle that has been mass produced to an extent where small imperfections were given an okay. The imperfections aren't glaring and if it weren't for the Victor, one might not even notice them. But since the Victor is around, you just cannot help but notice the differences in paint and material quality. TVS has got this spot on with the Victor. The paint really shines and the materials do not feel like they've been made to keep costs down - the switches for example seem really flimsy and cheap on the Honda. And when you combine this with the fact that the Victor comes with a few premium bits in the features list (like the digi-analog clocks and the super bright headlight) the scales start tipping towards the Victor. Both motorcycles use a conventional fork up front with a twin shock setup at the rear. But the way the suspensions have been tuned are vastly different. The TVS Victor is a lot softer sprung and as a result is more comfortable over broken roads. That said, I do wish that the Victor was a bit roomier. Hop onto it from the Livo and you can instantly feel how your hands are closer to your knees and your feet are a bit more forward set. And with really tall riders, like Rishaad, this can become a bit of an issue. I also didn't like the soft seat on the Victor too much. Over long distances it doesn't give you a lot of support. But despite all that, the Victor rides really, really well. It manages to absorb all the bumps and crevices on our roads without complaint. But as usual, it comes at the cost of dynamics. The stiffer set up Livo is clearly the better handler here. It has just the right balance between ride and handling. It also handles high speed cruising a lot better. But would I feel upset if I were given either of the two motorcycles for my daily commute? Highly unlikely. The difference isn't that glaring. The question really is what would target customer appreciate more. I suspect that a setup biased more towards overall comfort is what holds more value here. And that works in the Victor's favour here. And when you throw in the fact that the Victor's highly effective, feedback rich brakes are far better than the Livo's wooden ones into the mix and the Victor comes out with more points under its column than the Livo. Let's get the specs out of the way first. The Victor uses a 109.7cc, three valve motor that makes 9.6PS and 9.4Nm of torque. 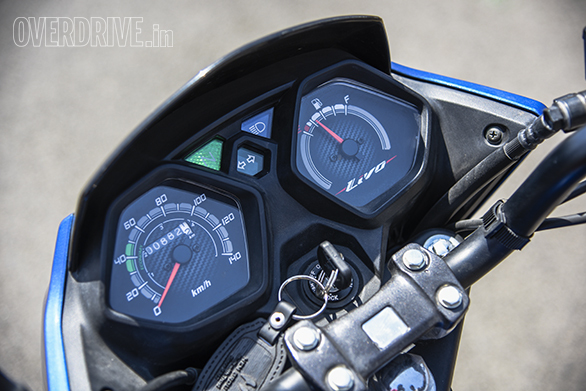 The Livo uses 109.19cc single that makes 8.3PS and 8.63Nm. The difference in displacement might be negligible, but the Victor does make over 1PS and just under 1Nm more than the Livo. This difference in power is something that becomes clear the moment you ride both bikes back to back. The Victor is clearly ahead. 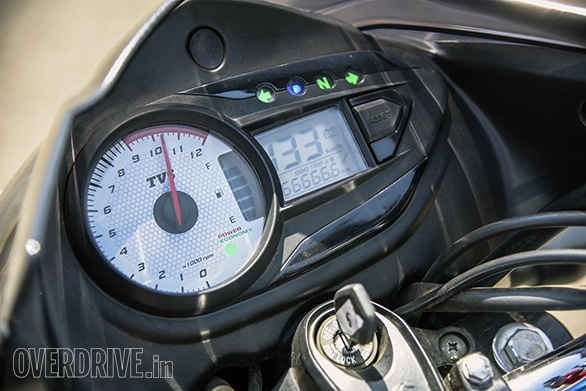 Where the Livo takes seven seconds to hit 60kmph, the Victor does it in 6.23 seconds. 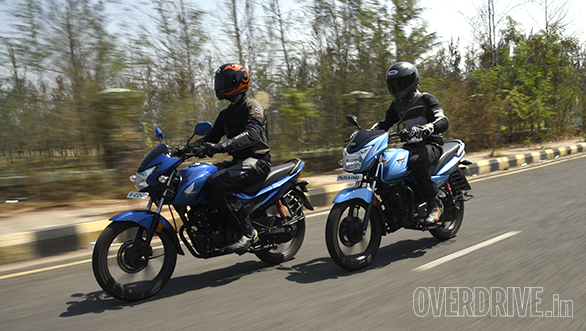 The Victor is also able to hit a higher top speed of 92kmph, and benefits from much stronger in-gear acceleration. Of course, at this point I could be accused of nitpicking. But the problem isn't with the Honda's actual performance, it is with the way this performance is delivered. Under hard acceleration and continuous high speed cruising, the Livo's engine is clearly unhappy. 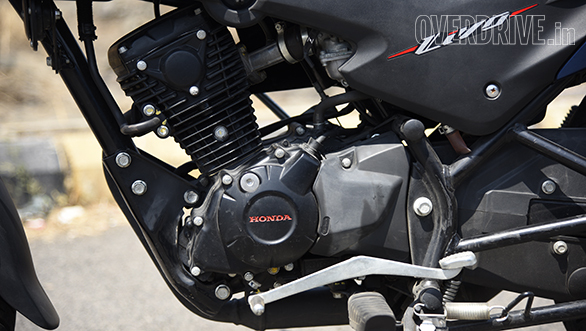 At 80kmph there is a lot of vibration that is felt through the handlebars, pegs and seat. The Victor on the other hand doesn't mind being pushed to its limit. It is only right at the limit that some vibration is felt. That too, only from the pegs. 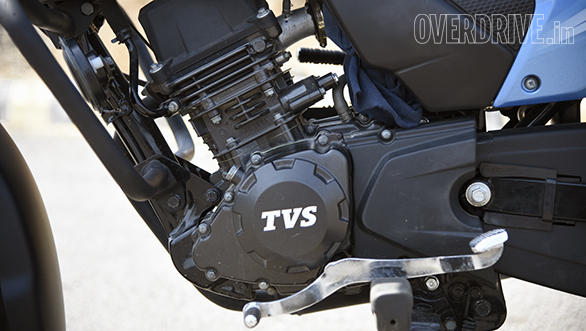 The TVS motor is not only the more refined of the two, it might even be one of the most refined motors around. The Victor's motor not only delivers better performance, it also delivers the performance better. Of course, higher horsepower and performance does mean lesser efficiency. But, the Victor surprises even there by delivering 62.68kmpl - only 0.5kmpl lower than the Livo's 63.2kmpl. Let's look at this test again. After having ridden the motorcycles back to back, and putting a lot of thought into specifics, I can safely say that the only things that the Livo does better than the Victor is to look pretty and handle well. Everything else  every single thing  the Victor does better. It is better finished, has better ride quality, has a more refined engine, delivers better performance and is only negligibly less efficient. But here's the real deal sealer. With the disc brake, the Victor is priced at Rs 63,000 while the Livo will cost you Rs 68,200 (both on-road Mumbai). That makes the Livo over Rs 5,000 more expensive. Uh oh - the Victor is the clear winner. But what happens if you shuffle the playing field a little and put the Dream Neo where the Livo is. 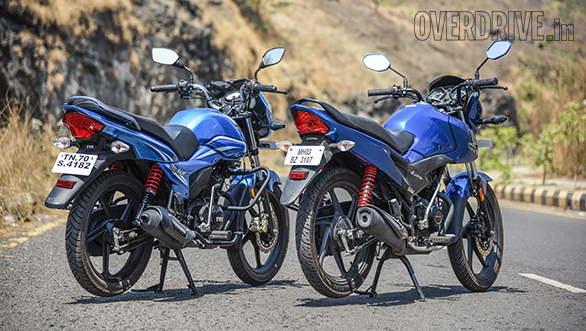 At Rs 57,022 (on-road Mumbai) the Dream Neo is close to Rs 6,000 less than the Victor, and the Yuga about Rs 900 less. Does that change the equation? Only for the Neo, but you've jumped a bunch of rungs lower on the positioning ladder in the process. The Victor gives you enough value and ability over the Yuga and Livo to justify its price clearly. And that is testament to the excellent job the guys at TVS have done in resurrecting the Victor.